Thanks for a great year of blog interaction and contest participation- your suggestions play a huge role in our effort to improve your future experience with UNC Housing and Residential Education. With that being said, please review the information posted below to help facilitate a smooth check out process. You must check out of your residence hall within 24 hours after your last exam. The community closes at 10:00 AM on Wednesday, May 6th. If you have an extreme circumstance please fill out a Housing Late Stay form available via email. Remove all personal property, whether you are keeping it or throwing it out. Dispose of it properly. Remove all of your trash/discards from the building and place in appropriate containers. Empty and clean your trash can and Recycling Tote. Assure window screens are present and installed properly. Close and lock your windows. Close blinds. Defrost and clean your refrigerator if you have a RHA micro-fridge. Dust and clean all surfaces (desktops, dresser tops, shelves, etc.). Empty and wipe clean all drawers (desk, dresser, closet shelves, etc.). Remove all tape, poster putty, etc. from all surfaces (walls, doors, etc.) and assure there are no holes. Residents, campus mail service will officially end May 6, 2015. Please review this information to ensure you are able to plan accordingly. The US Postal Service in Chapel Hill will not forward mail and will not accept standard address change request forms for residence hall addresses. The Post Office does not have the capacity to process thousands of address change requests at once and will disregard your request if submitted. This means you need to change your address individually with your bank, credit cards, cell phone provider, magazines, newspaper, family and friends. Tip: Use your home address for your tax returns! Tip: Start early! Some companies take 4-6 weeks to process an address change. Note: Residents staying through all or part of the summer in Odum Village or Ram Village will continue to receive mail. However, mail will not be forwarded after you move out. You still need to change your address 4-6 weeks prior to moving out. Have questions? Contact Joanna Luke, Residential Communication Services Manager: jluke@email.unc.edu, 919-962-3695. Join RHA for the 2015 UNC Summer Olympics! Free t-shirts will be given to all participants, and trophies will be awarded to each championship team and the most valuable olympian in each sport. Competition is scheduled from April 6 to April 18 to determine which Tarheels reign supreme. Basketball and volleyball games will be held from April 6-11. Soccer and dodgeball games will be held from April 13-18. Teams are permitted to enter as many sports as they choose. Schedules will come out as soon as team registration is complete. Each team must choose a residence community or on campus organization to represent during competition. The Summer Olympics is available to all students at UNC, including graduate students. Click this link to sign up! Spring is finally here, which means Chapel Hill will rival rival any place in the country for the title of “most beautiful weather.” Be sure to take advantage of our priceless gem before you freeze in New York or Chicago during your years as alumni. Here is a list of five great activities to do during a beautiful spring day in Chapel Hill. Take in a baseball game at one of the best college parks in the country. The Heels are a perennial powerhouse in the ACC, hotdogs are only a dollar on weekdays, and t-shirt give-a-ways are the standard. 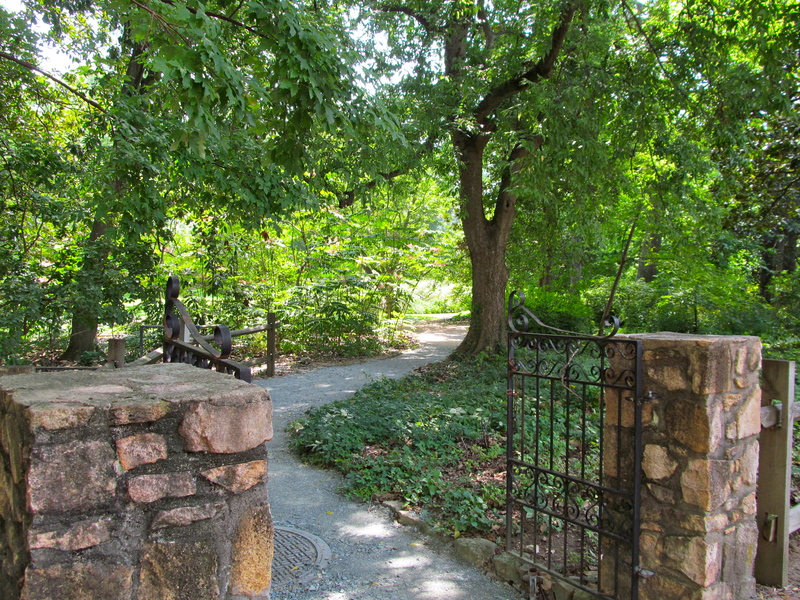 Bring lunch, a book, or just nothing at all and enjoy the beautiful gardens of Coker Arboretum. Attach a hammock or lay in the grass on a warm afternoon after class. Recruit a group of friends and have fun with friendly competition while you exercise on the turf. Technically in Carrboro, only a few short miles separate you from Weaver Street Market where a great variety of food awaits. 1) Residence Halls close definitively at 10am on Sunday morning. Please be sure to plan your packing and departure from campus so that you are not rushed at the last minute. Halls will re-open at 9am on March 15. 2) Empty all trash cans, recycling, and compost containers. RAs will be checking on this as they check-out each room, but you won’t want to come back to a smelly room either. 3) Unplug all electronics except your refrigerator. This will also be checked, but it saves energy and will keep your food fresh if you choose to leave any behind. 4) Be sure to sign the check-out sheet on your door before you leave. 5) Have a safe and fun Spring Break! Remember to save some time to re-charge if you have a lot scheduled, and spend some time having fun if you don’t! Check Out the UNC Housing Scoop.it! Scoop.it! is a social media platform designed to function similarly to an electronic newspaper. All you have to do is insert the link of an online article to your Scoop.it! profile. Instead of writing the articles yourself (which users can still do) Scoop.it! enables users to pull relatable articles from other sources and create a hub for articles of one topic or another. Luckily, UNC Housing now has its own Scoop.it! Check out our page and the most recent scoop about Carolina Cupboard, written by our friends at the Daily Tar Heel! Like a third-grader speculating about future Christmas presents, I checked the weather forecast incessantly in order to calculate the odds of having class Tuesday morning. The Accuweather and Weather Channel hourly forecast feeds became mainstays as tabs in my browser. I had to know the moment my chances of frozen greatness were increasing. The first email came during my Spanish class on Monday- classes canceled from 2pm until 11am Tuesday. For the first time ever I cursed my Tuesday/Thursday-heavy schedule; the cancellations brought no respite from the world class education I am fortunate to receive everyday. After regaining composure I reasoned that Tuesday class would almost certainly be canceled if a portion of Monday’s had been, despite no flakes in view yet. With great tranquility I went about the rest of the day and opted not to write the essay that was due Tuesday. I knew deep down that even the mighty Chancellor Folt would inevitably bow to Mother Nature. Down came the ice, snow, and freezing rain as I rejoiced from my bed. When the particularly wet precipitation subsided, swarms of first-years and upperclassmen alike took to the hilly parts of campus. Skipper Bowles Drive became a four-lane race track occupied by anything but conventional sleds. Students everywhere shouted with excitement. The snow gave us instant entertainment, more days to study for our midterms, and something that we could all rally around together. After hours of fun in the winter weather I returned to my room and prepared to go to sleep. I set my alarm for 6am so I would be awake early to check my email. Not even entertaining the possibility of Tuesday class at this point, I was simply eager to glut in the serenity of an Alert Carolina weather update. I was Roy Williams, inserting Blue Steel to a blowout that was minutes away from becoming a victory. When I awoke, there was no such update to be found. Flabbergasted, I fell to my knees as the gravity of the situation hit me. I had no choice but to try and finish my essay. My mind running in a thousand directions, I furiously typed away with utter nonsense in order to make the minimum page requirement by class time. The hours to write waned and I felt increasingly desperate, until the familiar chime of a new email in my inbox stopped my typing at once. I received a number of false alarms earlier in the morning, but something about this email felt promising. While holding my breath I opened my inbox. Class canceled until Wednesday at 8am. I shrieked and fist pumped like Tiger Woods after holing a chip shot. Snow had done it again, and boy did it feel good.